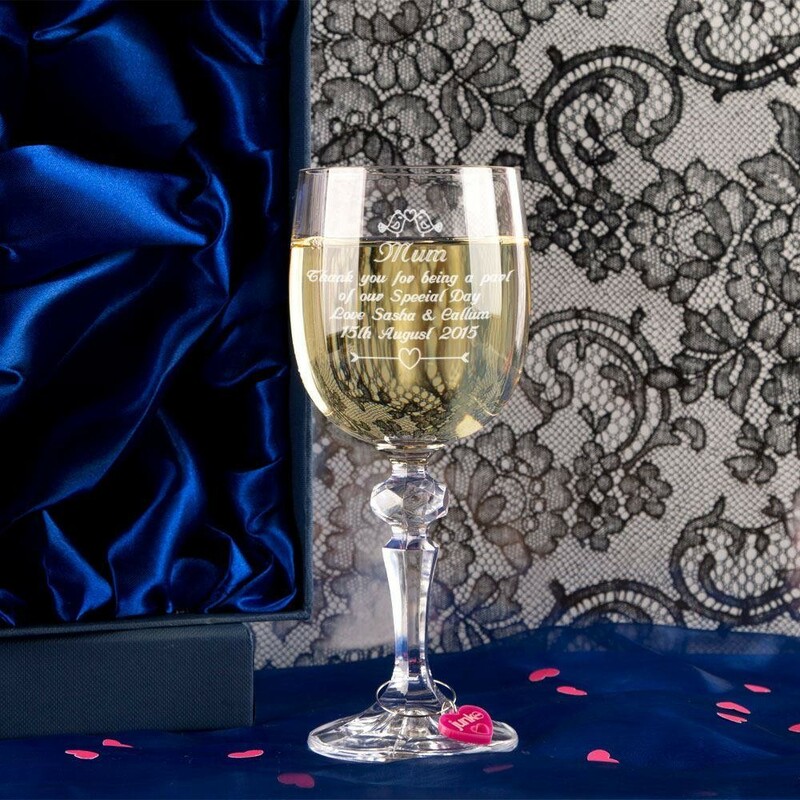 The mother of the bride plays an important role at her daughter's wedding, and this engraved wine glass is the perfect keepsake for her that will show how much you appreciate her help. 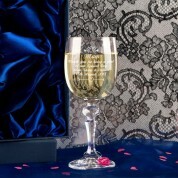 It is the perfect glass for any mum to enjoy her favourite wine inside while remembering her daughter's special day. The design features two birds that were originally hand drawn and a heart with arrows though it at the end of your message. We will engrave the mother of the bride's name and a personal message. This gift includes a pink heart Junko branded wine charm (so any mum can drink in style) and a presentation box (perfect for storing away when not in use). 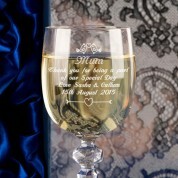 We personalise each glass in house so can add the mother of the bride's name and a short personal message. Dimensions: 220ml capacity, approx. 17.5cm (7 inches) tall.